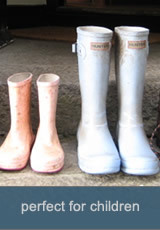 Ben Duirinnis House can sleep up to 9 guests in comfort, and with five bedrooms offers flexible sleeping accommodation suitable for larger family groups. 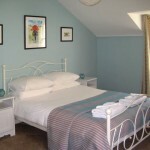 Double bedroom, perfect for grandparents! 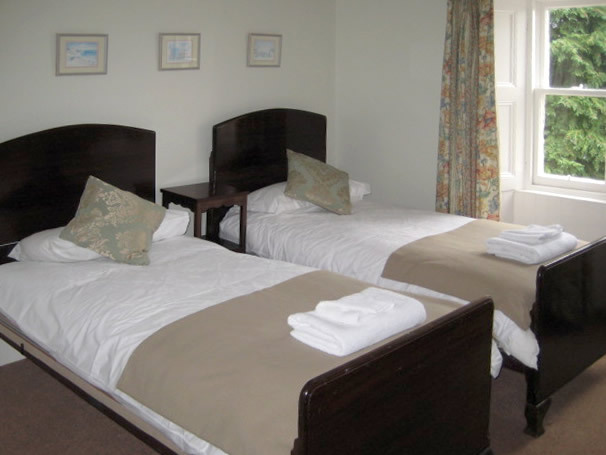 This is the largest bedroom with a comfortable double bed, wardrobe, dressing table and wash hand basin. The two large windows offer stunning views across Loch Etive. It has been freshly decorated and is beautifully light, with ample space. 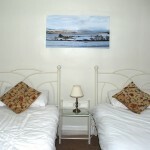 This is the first of two twin rooms in the property. It has two large single beds, a chest of drawers, wash hand basin and a curtained-off inlet for extra hanging space. 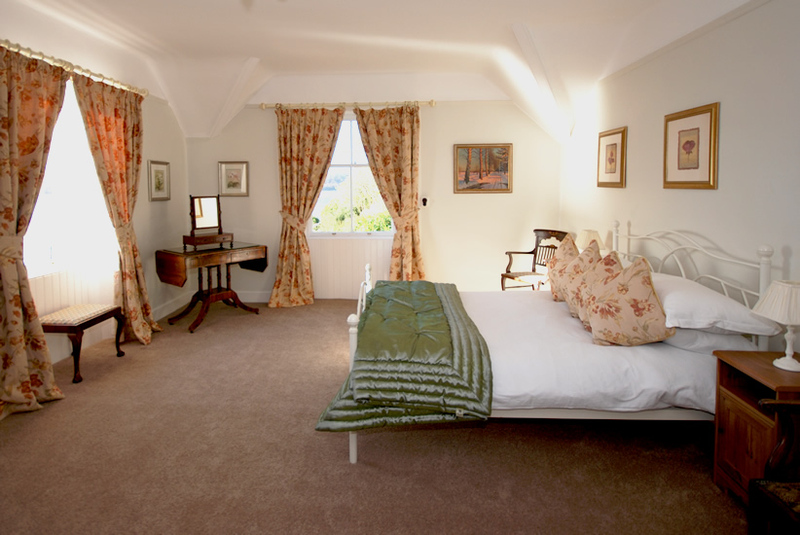 The room also boasts views across the loch. 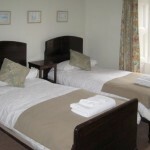 The second of the twin rooms has two modern single beds. It has a chest of drawers, a wardrobe, wash hand basin and is home for the property’s cot. 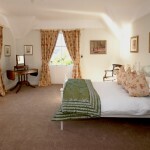 This room is next to the Master Bedroom and is an ideal children’s room. This large room is situated in a separate “wing” of the house and is next to the second bathroom. It is ideal for extra privacy, peace and quiet and perfect for grandparents! 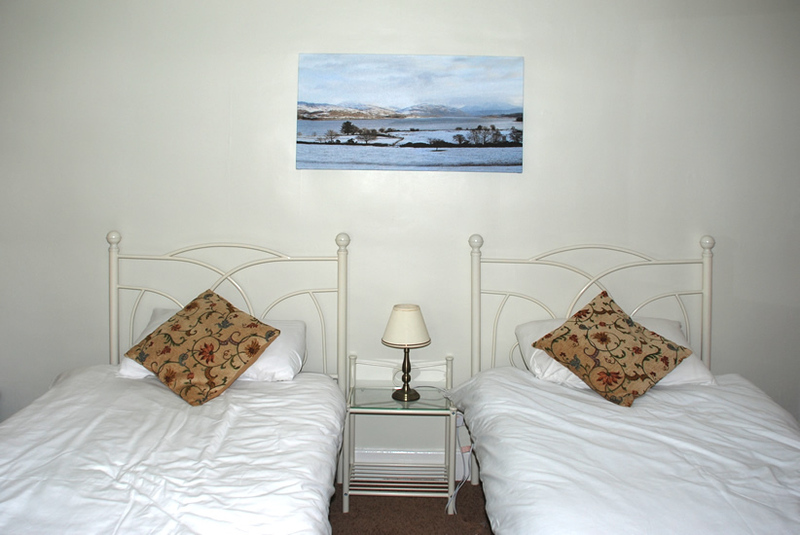 The room, recently redecorated, has a large double bed and is furnished with a wardrobe, dressing table, bedside tables and a wash hand basin. 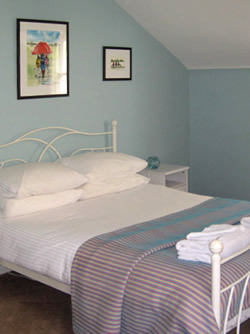 The single room is situated above the front door at the top of the stairs. 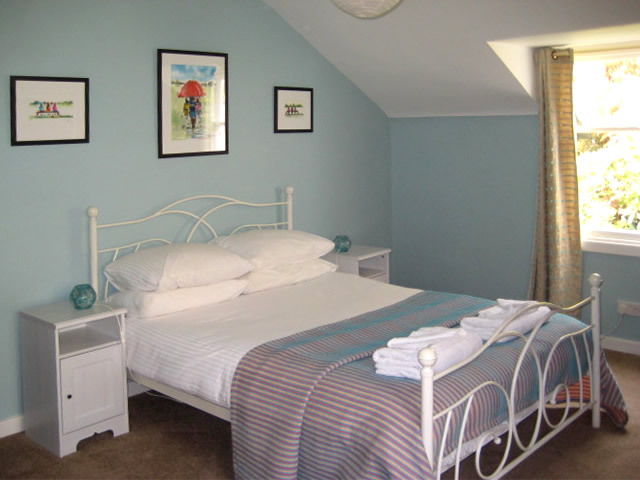 It has a large single bed, wardrobe, chest of drawers and wash hand basin and is an ideal room for a teenager. There are two large bathrooms upstairs. The house has enough hot water for 3 big baths at one time, plus the main bathroom has an electric shower fitted, which means that guests are able to enjoy hot water at all times. 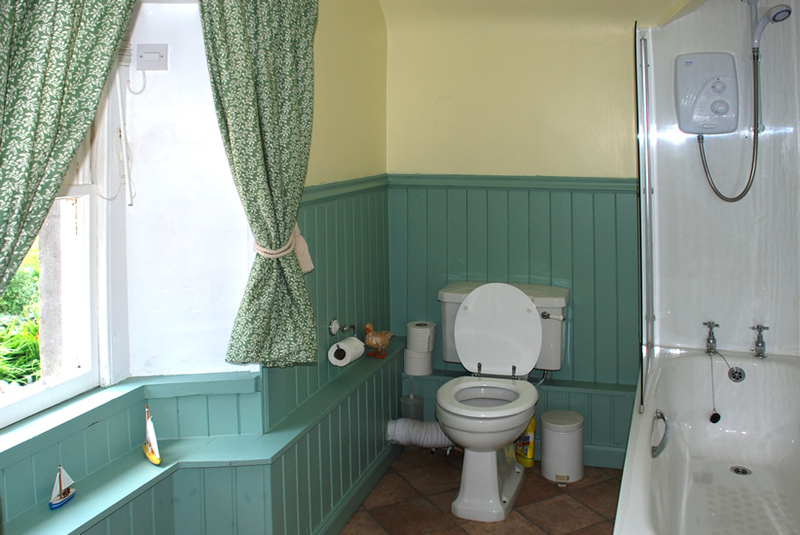 The upstairs bathrooms are large and functional with heated towel rails. 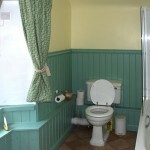 There is also a shower room downstairs.